I joined the ISS National Lab as president and chief executive officer in late summer, a newcomer to the space industry but with decades of experience in leading national science initiatives. As our nation’s only orbiting laboratory, the ISS has become both a proof of concept for the value of sustained research initiatives in low Earth orbit (LEO) and a pathfinder for the future space economy. The robust, albeit currently small, economy built over the past six years by the ISS National Lab demonstrates that the commercialization and economic development of space is not limited to the satellite market—and we are providing the operational and cooperative infrastructure to drive this broad market expansion by building demand, enabling supply, and facilitating investment. Since the transition of the ISS National Lab to nonprofit management in 2011, 185 new-to-space users in the areas of life sciences, physical sciences, technology development, and remote sensing have been awarded the opportunity to conduct investigations onboard the ISS National Lab. 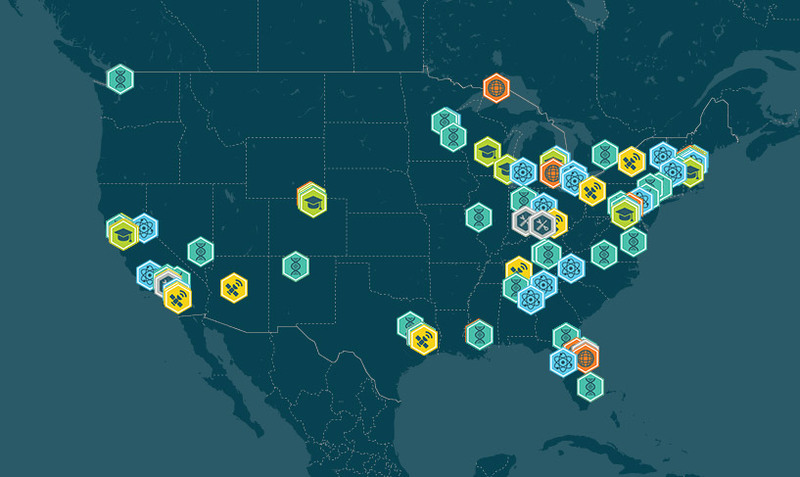 In total, 241 projects have been directly sourced by the ISS National Lab (135 of which represent commercial users), and dozens of other projects sourced by commercial partners and education programs have also been added to the ISS National Lab manifest. More than 70% of the payloads flown in fiscal year 2018 (FY18) had significant private-sector involvement, and more than 50% of newly selected projects added to the queue will require no ISS National Lab grant funding to complete their flight projects. Since 2012, the ISS National Lab has engaged and supported business opportunities for a diverse community of Implementation Partners, the service providers that help researchers translate terrestrial project concepts into flight-ready payloads. This community has now grown to 45 members, eight of whom now manage commercially operated facilities onboard the ISS National Lab—up from only one in 2012. Fourteen such commercial facilities now operate on the ISS National Lab, with one additional facility that was recently installed on the ISS through the European Space Agency. Of the more than $5 million in ISS National Lab grant funding awarded in FY18, more than 70% went directly to these partners and not the end user. In support of the growing LEO economy, the ISS National Lab has been able to leverage its $15 million per year in ISS research funds over the past five years to attract more than $150 million in non-NASA, third-party funding in support of individual ISS National Lab research and technology initiatives. This external funding originates from non-NASA government agencies such as the National Institutes of Health and the National Science Foundation, venture capitalists, private-sector companies such as Boeing and Target Corporation, end users themselves, and other investors. More than $19 million in funding in FY18 alone came from large-scale, multi-project programs funded by third-party sponsors. Additionally, the ISS National Lab investor network (organizations that have expressed specific interest in funding space ventures) nearly doubled in FY18 and now consists of more than 118 members that have contributed approximately $1.6 million in funding over the past three years. Perhaps most critically, I believe this market is scalable, and the ISS National Lab has the institutional knowledge to do so based on direct experience working with the current users, service providers, sponsor organizations, investors, and diverse stakeholders. We also know how to capitalize on the power of space for improving science literacy in tomorrow’s leaders, who will catalyze innovation and success in this future space market. More than 2 million educators, students, and parents were reached through ISS National Lab educational initiatives in FY18—yet education programs represent less than 4% of the total ISS National Lab grant funding allocated over the past five years. Smart partnerships with experienced organizations enable maximum reach for educational content related to the ISS National Lab. In 2019 and beyond, I look forward to leading the ISS National Lab as we strengthen and diversify our partnerships and mature our research programs to enable further economic development and commercialization of the LEO platform market. We will focus on programs with high-impact potential to enable specific sectors, including areas that address larger challenges with terrestrial implications and potential future manufacturing capabilities such as advanced materials and tissue engineering. We will continue to lower barriers to entry and seek new approaches to overcome remaining barriers in the areas of time to flight, technology modernization, and continuity of research initiatives. Most importantly, we will continue to share our lessons learned and successes with the space community, our stakeholders, and the public as we persist in pioneering the best practices for community interaction and ISS platform utilization in this growing market. 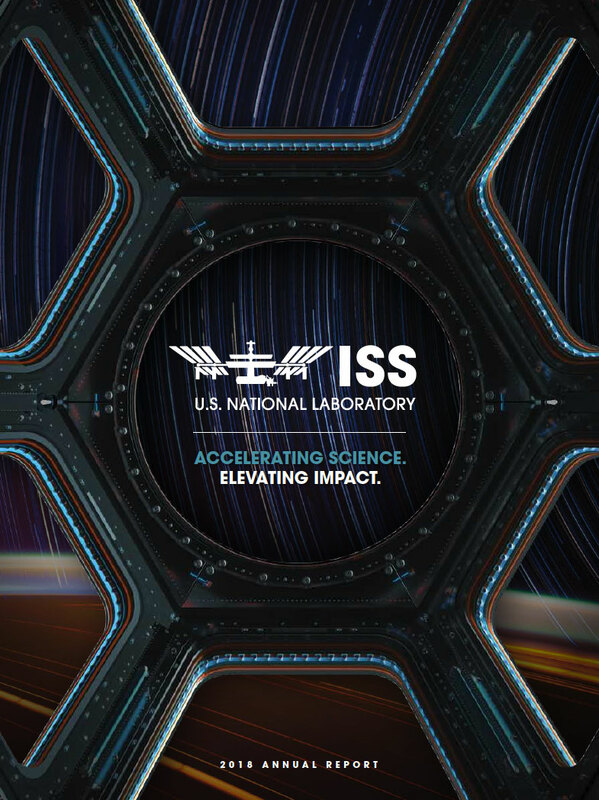 Please read on for details about ISS National Lab progress and successes from FY18.